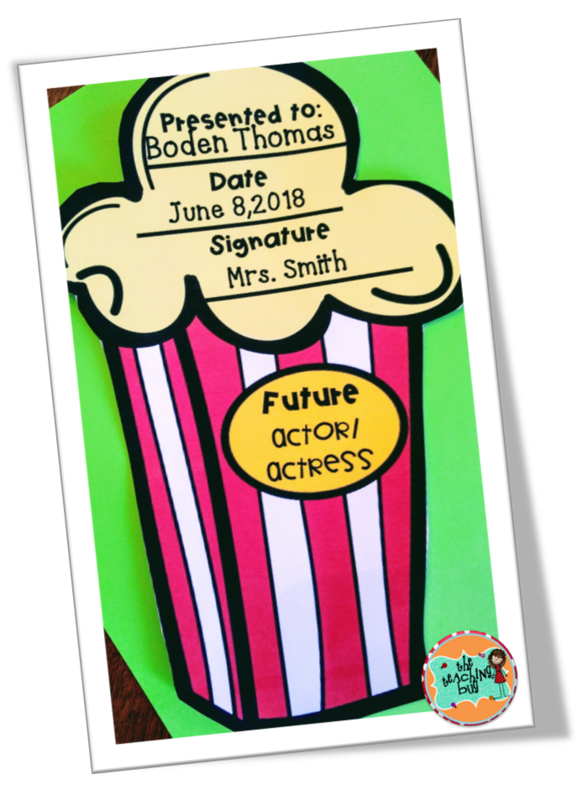 Super Cute and Fun End of the Year Awards!!! YAY! Summer is here! I am so ready to lounge around poolside and soak up some sunshine. How about you ? 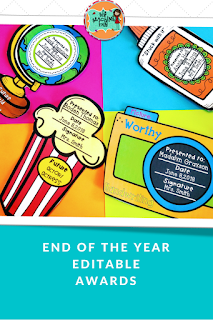 I wanted to pop in and share with ya'll some of the end of the year awards that I love to give out to my kiddos at the end of the year. 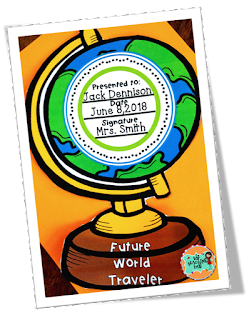 These turned out beyond adorable and my students loved them. 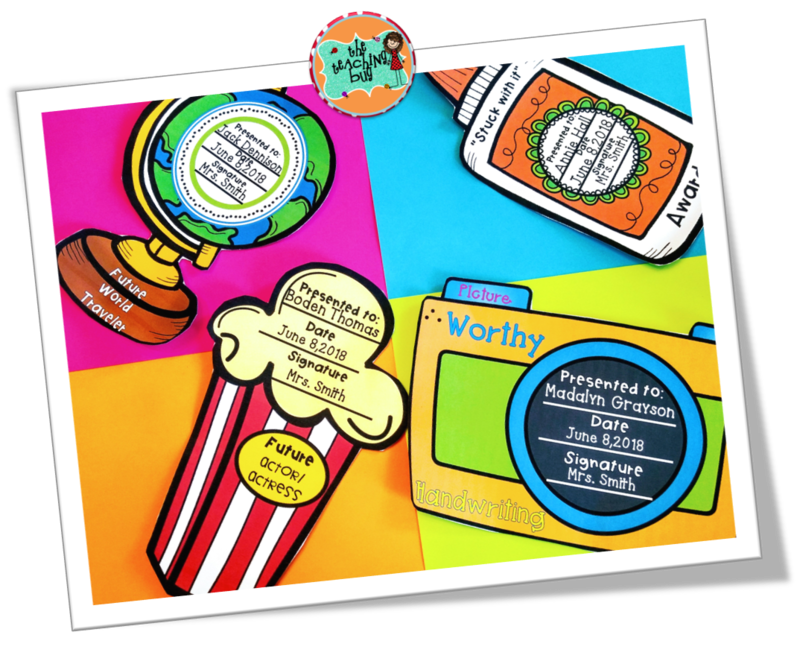 Each one of these awards perfectly described my students and they loved the colorful awards they received. O.k. before you think it will take all of that ink...really it doesn't. I print them out over the last few parts of the year and I also use the HP printer Envy 4520 a real ink saver. 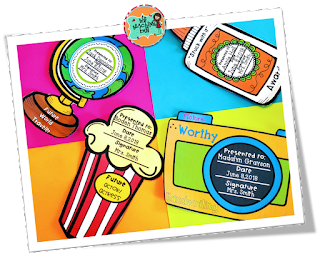 Each one of these awards are printed out on cardstock...you could laminate if you wanted. 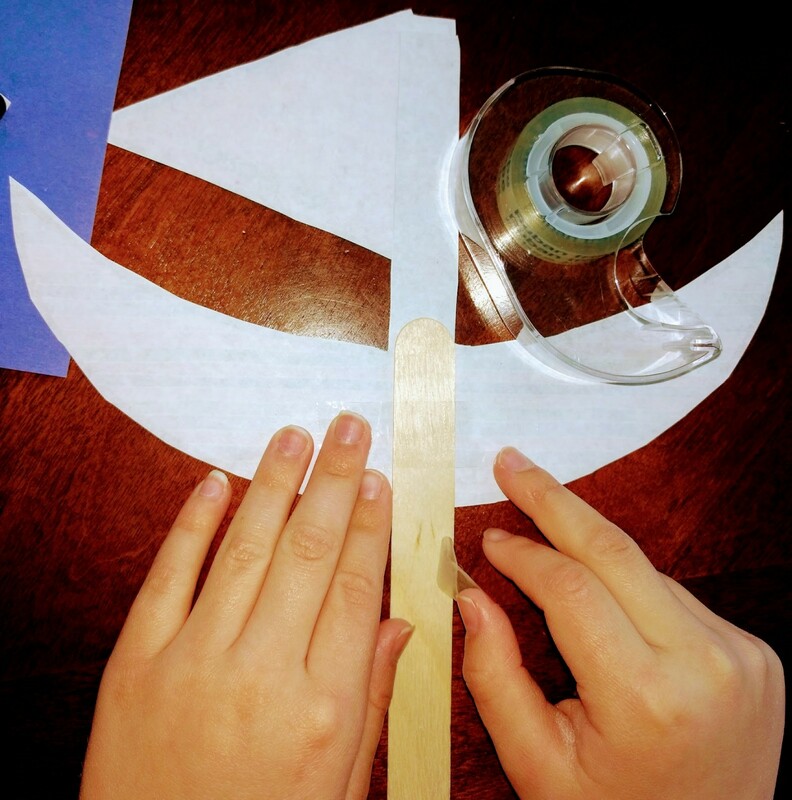 Grab those classroom volunteers and let them cut them out for you. I always have one parent or two that are willing to help. The best things about these awards are they are completely editable and I can use any font I want. So cute and the kids loved that their award was shown from the stage. The parents loved receiving them because of the bright colors and it was a memory they could hold onto and treasure. O.k. time to hop back into that pool and make plans for next year. Happy Summer ya'll. One of my favorite things to discuss with my guided reading groups is figurative language. Why??? you might ask. Well, because it can add so much to our reading and writing instruction time. 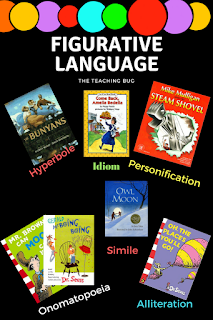 My students love hearing and pointing out examples of simile, onomatopoeia (love saying this word), alliteration, personification, hyperbole, and idioms. 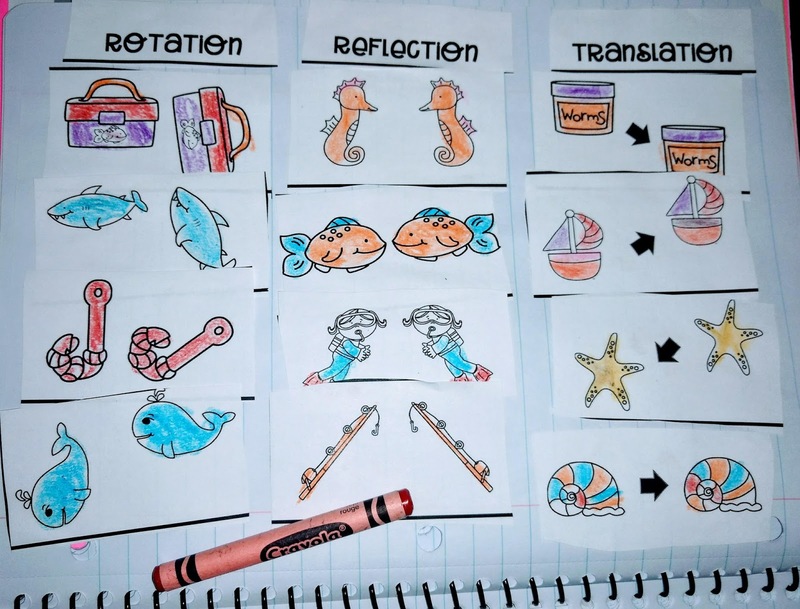 I love that we can enrich our reading time with more strategies to help our little readers and writers blossom . 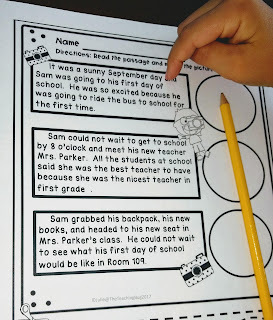 During our guided reading times we begin by introducing each skill individually with many examples to help my readers understand how to detect and find them in their reading. 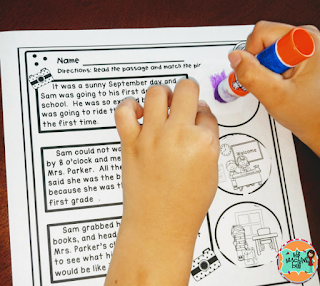 First, we start off by taking simple notes and adding them to our interactive notebooks we keep for reading and grammar. 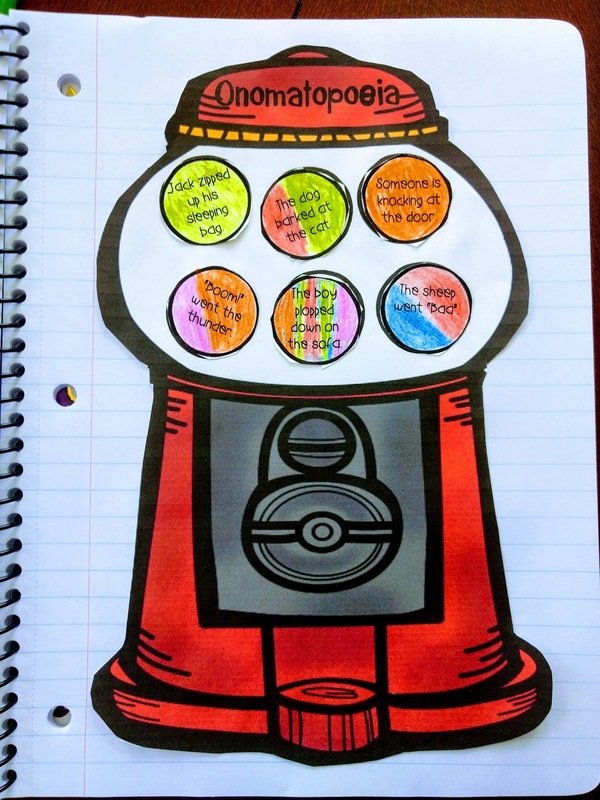 Here below we glue in the definition and then I have my students write examples of the skill around the gumball machine. I have found that I like to use standard spiral notebooks for my interactive notebooks because we can add full pages and notes. 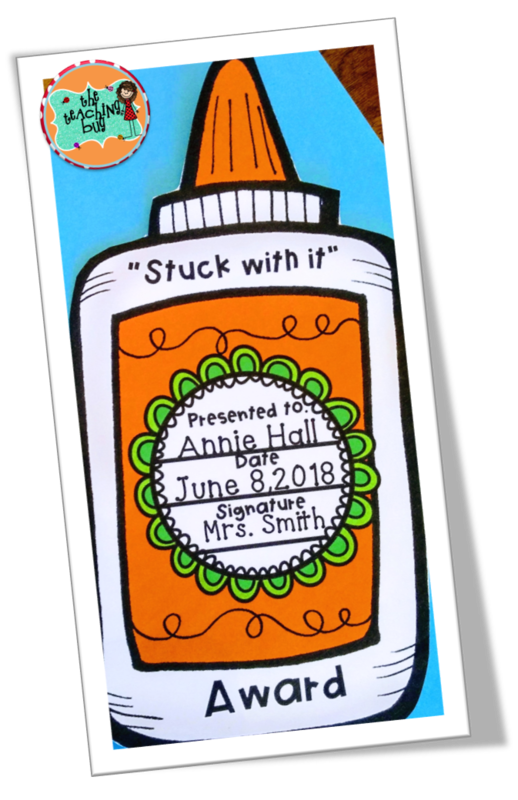 During our next meetings we will have one book on hand that we will read and share that illustrates the example of the figurative language we are working on (hyperbole, idiom, alliteration,etc). 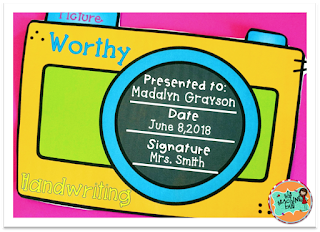 As you will find in the pic above I have a piece of literature I use with each skill and we record our findings on the note cards which we add to our notebooks. Very guided at this point to assure that my students are learning and understanding the concept. 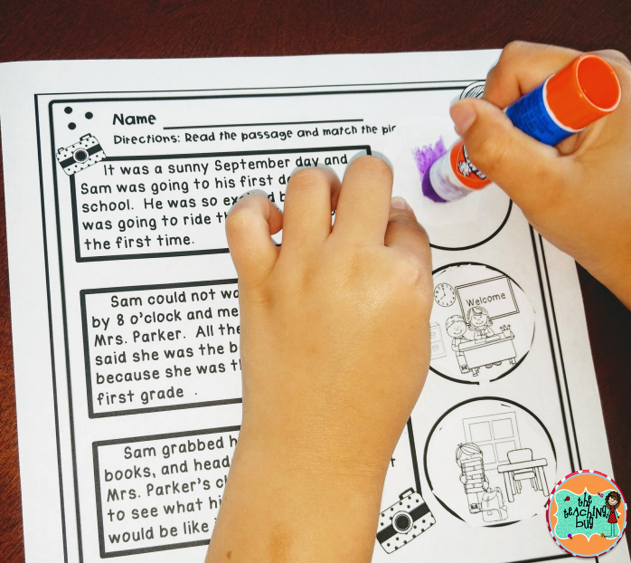 After we have covered two of the figurative language styles or more whichever you group is comfortable I use these interactive activities to informally assess my students while I am working in our reading groups. These pages are designed for my students to independently cut apart and glue down their answers on the page. 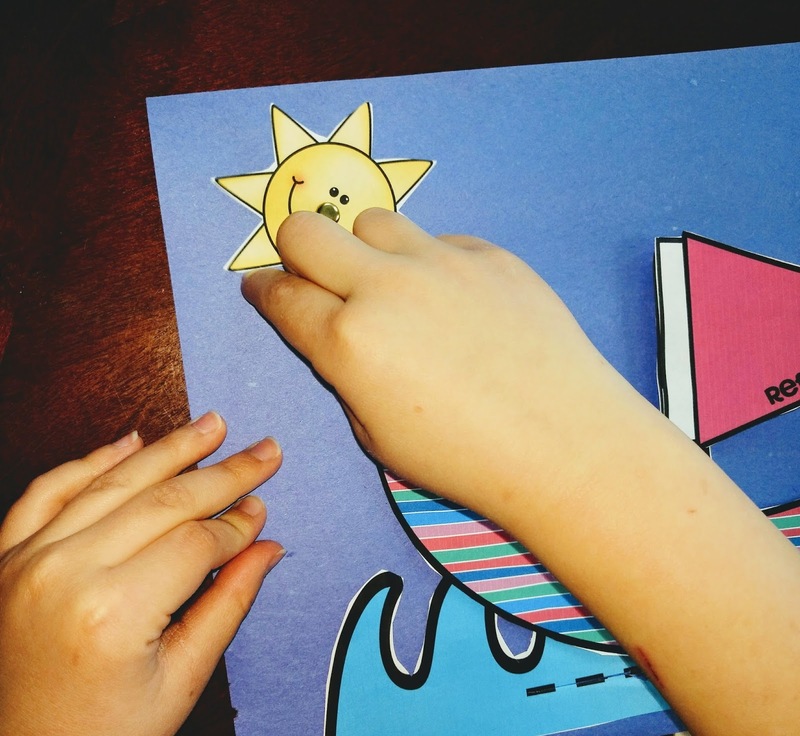 They are instructed which set to cut out and then they complete the activity independently. Work is placed in their interactive notebooks and then I can check when we meet for their reading group. Now I don't know about you but I like to have a little fun in my classroom and sometimes a game is what you need to get those kiddos motivated to learn. As we wrap up all of our learning and we have grasped all the concepts of figurative language I like to play "Pop, I know that!" 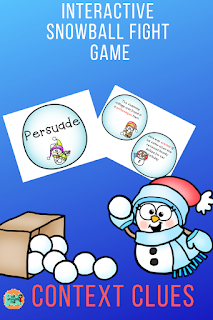 A little game I created to challenge my students. Divide the class into two teams and have the cards placed face up in a row along a set of desks. Each team sends up a player and then either the teacher or another student reads "Pop, I know that" card and the first player who correctly grabs the Pop I know that card with the correct figurative language word on it gets a point for their team. It is so much fun and the kids love playing. Here is also a list of the books we used during our unit which were great examples for our guided reading meetings. I hope your students enjoy it as much as mine did. Grab those coins and get ready to count some money. This unit is great for math centers at the beginning of the year or at the end to use as review. 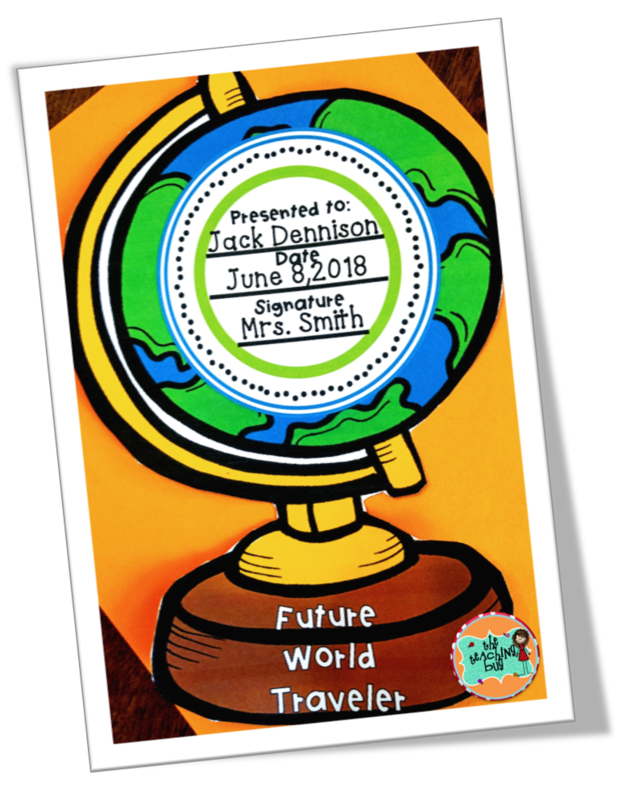 Printed on cardstock and laminated for use over and over again from year to year. 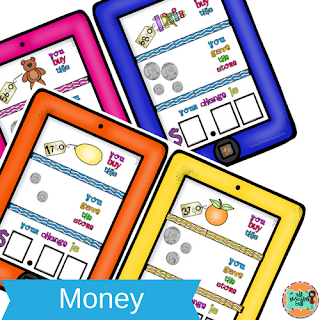 Money Recognition can be a tough skill for a lot of students. My hope is that with a little more hands on practice they can easily understand how it works. 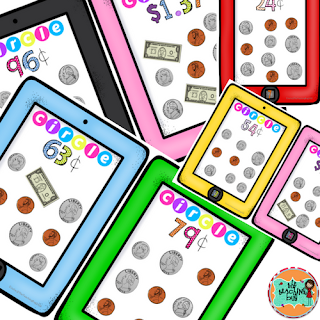 20 Ipads that have a toy with a price tag and then students decide how much change they should get back after giving the cashier the money. 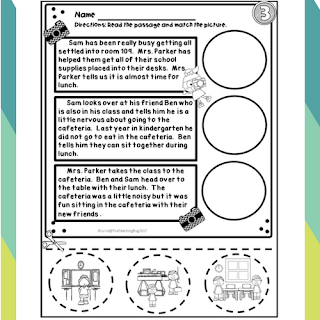 Recording sheets that allow my students to record what they have done and see which groups of children I might need to pull to the back table for extra practice. Each card is numbered so that students can easily record their answers without any confusion. 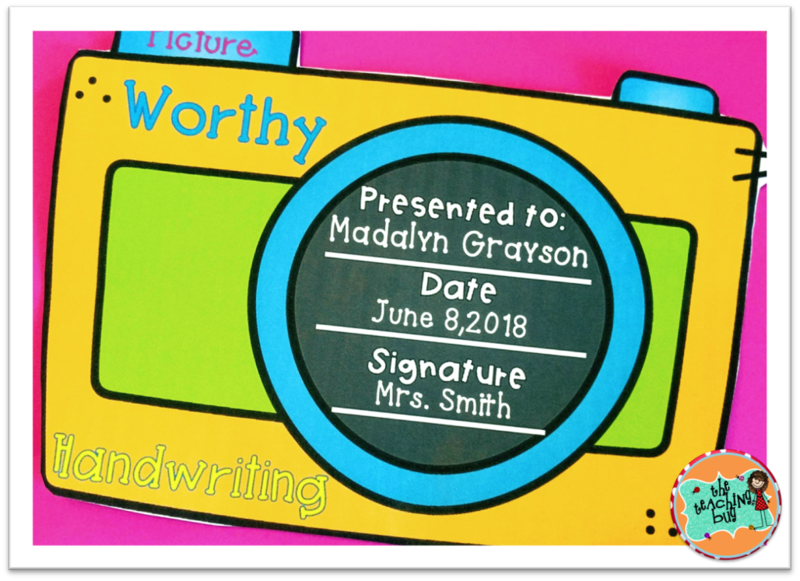 A completely independent activity and also a great one to leave for a substitute. We love using these in our classroom and small group Daily 3 math time. I hope you find them useful in your classroom. You can get them here. 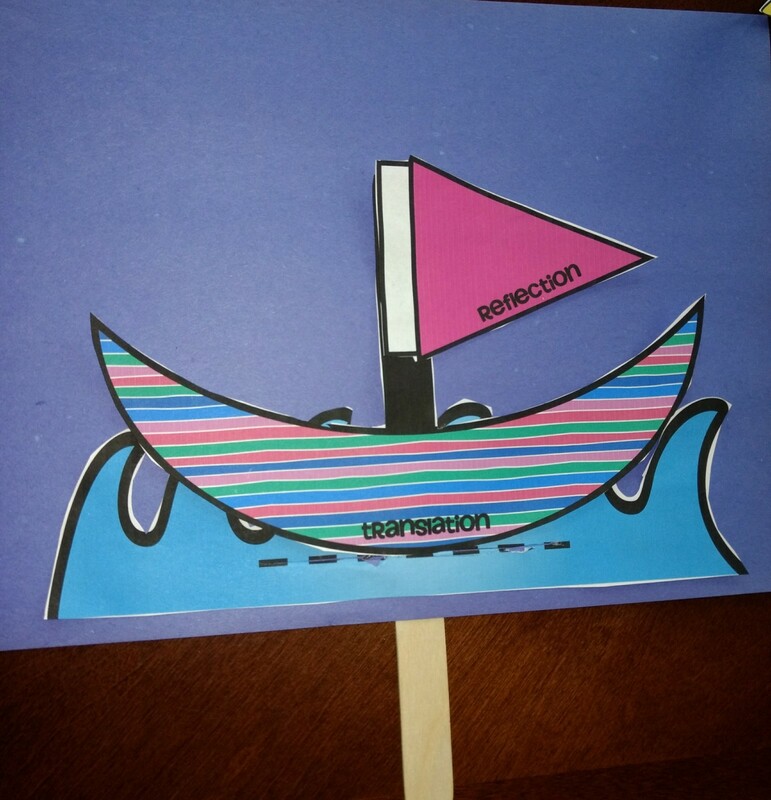 I wanted to share with ya'll a cute craftivity we used during our Geometry unit on Translations, Reflections, and Rotations. 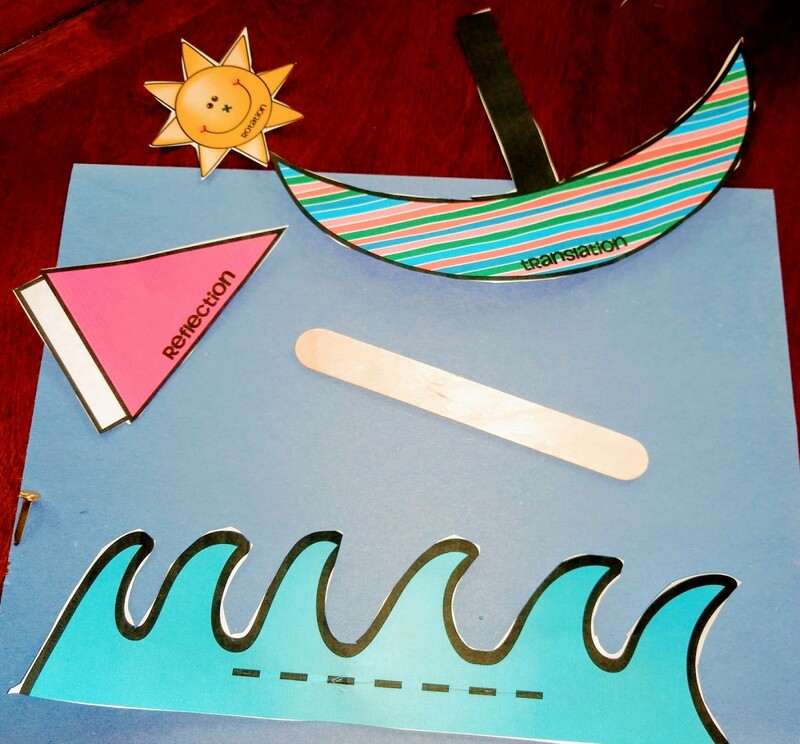 We had a great time making our seascape pictures that especially helped with my visual learners who need a little more help seeing how the concept of translation, rotation, and reflection worked. Here is what we did. First, we printed out all of our pieces...of course my students had black and white copies to color and make their own. This was one I created as a sample for my students to see. 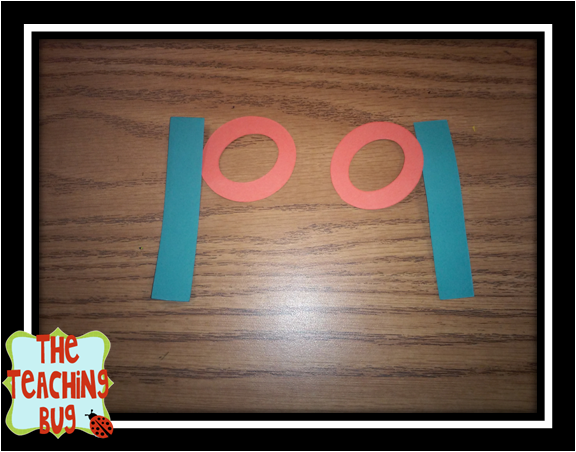 Next ,we took all of the pieces and got it all set up on our construction paper. 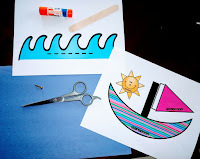 Then , we glued down the waves and then cut the slit through the dotted line. Just fold the paper gently and make a slit. 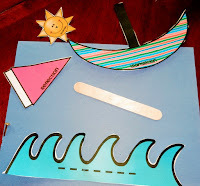 After that, we took our Popsicle stick and taped it down to the back of the boat as shown and then glued the sail onto the boat (make sure that you glue both reflection pieces back to back so when it flips the image is seen on both sides) . Do not glue the boat down it needs to slide. 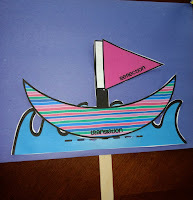 ;) Finally we slid the popsicle stick through the slit so the boat could slide side to side (translation). Here is what it looks like so far but we are not done yet. We are going to add the sun last. Here we will need to use a brad fastener to take the sun and attach it to our paper (Note: do not glue the sun down to the paper...it needs to rotate) We placed the brad through the sun but do not fasten it tightly leave a little wiggle room to rotate easier. If you wanted to make the pieces more durable you could always use cardstock. 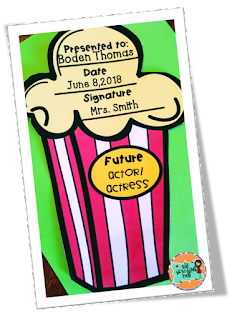 Another option we could have done is worked as partners to save paper and time and less cardstock if desired to use. However, we made these with paper and it worked just fine. 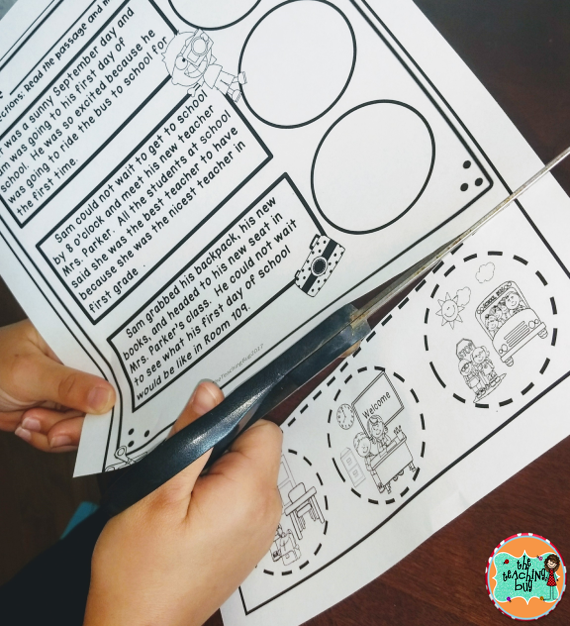 Once we finished up our crafts the next couple of days we practiced the skills we have learned by doing a sort in our math interactive notebooks , a mini flip book , and worked with task cards that were printed on cardstock and laminated . I added them to my math center rotations as an informal assessment. You can grab it here if you like what you see : Click on the picture below. Hey Everyone! 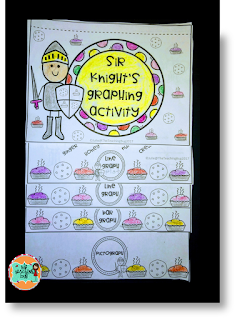 I wanted to share with you a little activity that is going on in our math classroom as we wrap up graphs. I can not tell you how much it makes this reading teachers' heart happy when I can use a picture book to tie in a lesson in math. I just love going across the curriculum for my activities. We listened to our story: I had a copy of the book on hand but you can easily find a read aloud on You Tube. :) Next, we broke up into small groups and each group had a bag containing these graphs printed on cardstock and the manipulatives to create pictographs on their own. Each student also had a copy of the mini book which I would collect later for a grade and then add it to their interactive notebooks. While they are working on their graphs and reviewing their skills they have learned this gives me the opportunity to work with those students who may still be struggling with different concepts on each of the graphs. So cute and a great way to add a grade to my gradebook for math. 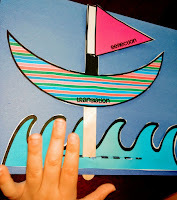 This is perfect for small group math centers. 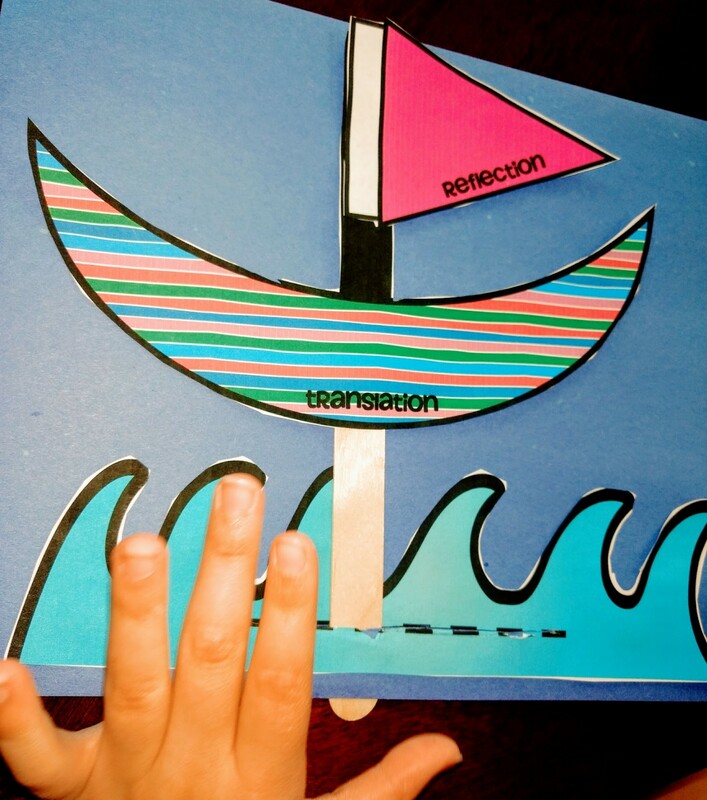 One of the many reading strategies I try and teach my struggling readers is to visualize what they are reading. Research has shown that students who are struggling with reading comprehension actually benefit from visualizing the material they read. Creating what I like to call a T.V. in their head.
" Sam was so excited to see all the balloons hanging around the room. He saw his superhero cake on the table beside a pile of presents he could not wait to open. " After reading this sentence I grab our white boards and then we draw what we saw. We would draw a cake, balloons, and Sam. We talk about how to create those pictures in our head. After many lessons and practice using the skills, I decided it was time to take our lesson one step further. We plan on looking at small passages and highlighting key words that will help us visualize after each small paragraph. As we read the paragraphs we will go back with our pencil and highlight those key words that help us visualize what the passage is about. 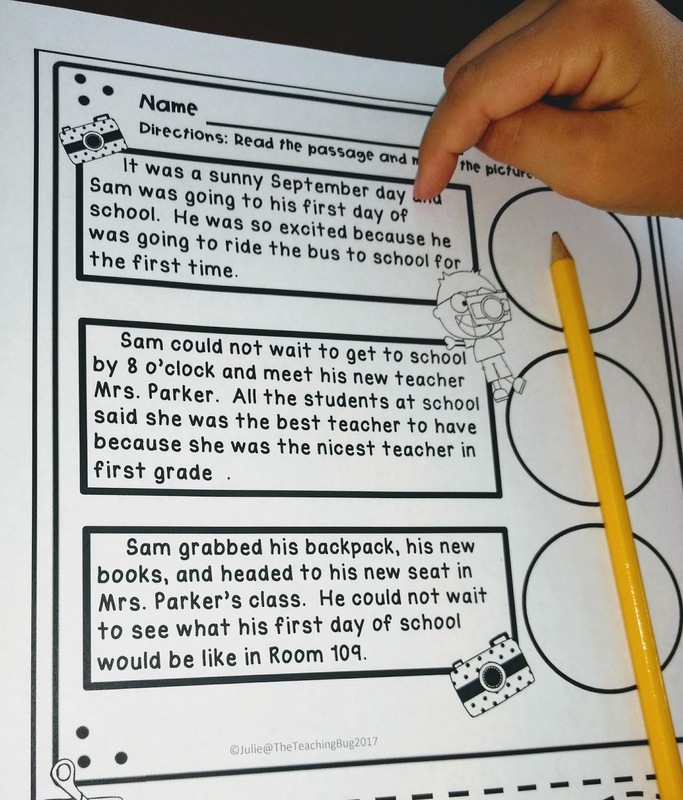 Next, we take a look at the pictures below our paper and check out which ones would be a best fit to the words we highlighted in each paragraph. Finally, we glue them on and then check in our passage to make sure we visualized the correct picture to go with the passage. 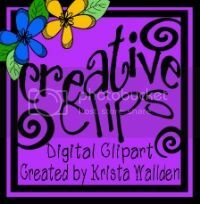 The stories I created follow a theme and there is one for each day of the week. 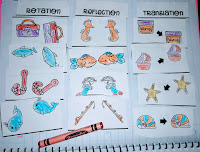 On Friday my students are given review questions to practice their comprehension skills over the week.